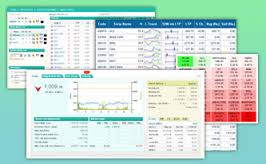 Discount brokerage is an online share broking system with low charges. Normally, they charge per each order instead of percentage commission. Traditional brokers charge 0.25 % to 0.5 % in India.But,the discount brokerages normally charge Rs.20 per order.For an example, traditional broker charge Rs.500 for Rs.10 lac intraday share purchase.But, a trader at discount brokerage pay Rs.20 per order and Rs.60 for 3 orders.Anyway, the difference in cost is very high.This is the reason of popularity of discount brokerages all over the world. In united states, TD Ameri trade, Etrade and Interactive brokers lead the discount broking system. 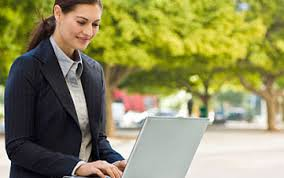 Comparing with conventional brokers,branch network of discount brokerages are very less.They do not offer allied services such as the Research, IPO, Insurance or Mutual funds.They cater clients with online platforms, advanced softwares and charting tools.Factors such as Less Employee strength, centralised services and advanced technology help them to reduce cost.Most of the discount brokers offer trading account only.They make tie up with other depository participants to provide Demat account.Traditional brokers charge advanced brokerage for low cost plans. but,discount brokers does not demand any turnover commitments. I think, discount brokerages are highly cost efficient for big intraday traders or delivery traders with huge volume.Now a days, conventional brokers are struggling in business due to the high branch cost and tough competition. In India,Zerodha has introduced the discount brokerage system with pay per order business model since 2010.Today,their average daily volume is over 3000 crores.Now, brokers such as RKSV,Trade Gini, VNS finance, Composit edge etc offer discount brokerage system.Other Charges such as annual maintenance charge and transaction taxes are almost same among both conventional and discount brokers. For any assistance, contact +91 9645954155. 4 % dividend yield and free float market capitalisation above Rs.1000 crore. It is considered as a good investment opportunity due to attractive valuation. Stock market games are known as stock simulator games.It is a virtual trading platform without demat or trading account.These games give beginners the idea about market without investing capital.Investors can view real time market and trade by creating a portfolio. Some websites offer prizes for best virtual traders. 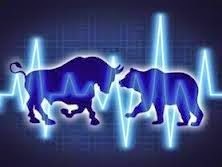 Registration is must for stock simulators, even though it is a free account.Stock market games with real time prices will give more confidence for a beginner before investing.You can visit below websites to participate in games. Tax saving Mutual funds (Equity linked savings schemes) offer section 80 C income tax beneft like Public providend fund and insurance.Main advantage of ELSS is the shortest lock in period and tax free capital gains.Minimum duration of ELSS is only three years. Most of the ELSS have given average annualised returns of 20 % in last three years. Redemption pressure is low in tax saving funds than open ended schemes. It is a good option for anybody wish tax saving plus market linked returns.Investor can opt growth or dividend option.As per historical datas, ELSS funds have given better returns till now. BSE Plus is a company information and analysis platform from Bombay stock exchange.It offers advaced features for fundamental analysis and chart reading. Investors can add the watchlist of stocks. 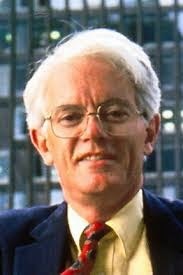 He can make and view the portfolio of stocks, ETF and fixed income. BSE Plus Dash board contains coporate announcement and price quote. We can view detailed corporate information such as company reults,share holding pattern and bulk deals.Most attractive part of this platform is the charting tool. It provide us features for line chart,bar chart and candlesticks chart with volume bars.We can use 15 different technical indicators including moving averages, ADX and Bollinger bands to analyse share price movement. Popular drawing tools as trendlines, horizontal line and retracements also available.Multiple Time frames from 1 minute to yearly data is another attraction.These features make it a very useful chart. 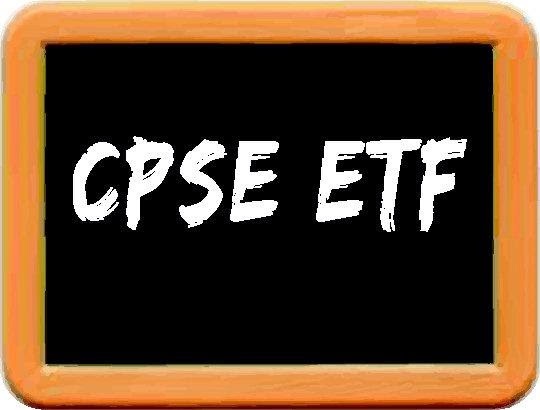 BSE plus is a good platform for beginners as well as experienced investors to know the fundamentals and technicals of a company.BSE provide it free of cost, for the registered users. Nifty Futures Lot Size Changed to 25. As per NSE circular, Lot size of Nifty futures and options contracts changed from 50 to 25. 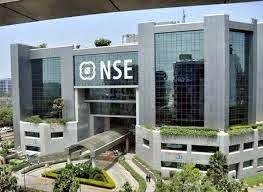 Recent bull run in indian equities resulted in huge growth in the value of Nifty,index of national stock exchange.Contract value of Nifty futures was above Rupees Four lakh last month.As per SEBI rules, contract value must be not less than 2 lac. NSE commenced Nifty futures trading since 2000.Initial lot size was 200.Nifty futures contracts are available in three month contracts - current month,next month and far month.Value of Nifty futures is calculated by multiplying lot size with index value.Sharp rise of Nifty index value has reduced the retail participation in the contract trading due to the high margin requirement. Latest revision in lot size will reduce the margin requirement also.Margin to trade in Nifty futures was around Rs.34000 last month.It will be near to Rs.17000 in new contracts. Nifty futures are used for hedging ( no profit no loss situation ) and arbitrage by institutional investors. But, Most of the retail investors use it for speculation.NSE expect more participation in Nifty futures due to the reduced Lot size. Labels: Lot size, NIFTY, Nifty futures, NIFTY lot size, NSE. Why Bitcoin is high risky? Bitcoin is a digital currency, started in 2009.It is a decentralized virtual currency which is not issued by any central bank.Many popular websites in European union accept bitcoins for digital transactions.It is not regulated by any goverment or not connected with banking system It is just used as an online medium of exchange. Now a days, momentum of bitcoin transactions declined very much after a long rally in previous years.Many investors lost money in bitcoins.Mt Gox, World's largest bitcoin exchange collapsed and reported the loss of 8.5 lakh bitcoins due to hacking.Securities and exchange commission in united states warned investors to be alert on bitcoin scams and asked clarification from all bitcoin companies recently.Bitcoin is already banned in Russia and few African nations. Countries such as China and France discourage bitcoin trading.However,no government has taken a clear stand on the existence of bitcoins.Reserve Bank of India warned people to avoid digital currencies due to the unauthorized and insecure nature. Bitcoin lost 65 % of it's value from the high price in 2014.A major concern is increasing volatility of bitcoin over a period of time.Experts tell that we cannot recover the lost bitcoins, because it is not backed by any asset. Another concern is the use for black money and other illegal fund to trade in bitcoins.Lack of legal protection for bitcoin holders makes it a speculative asset,which may erode value any time. Rakesh Jhunjhunwala, India's biggest individual investor achieved 62 % gains in the latest bull run since mid 2013.His Portfolio value crossed Rs.11,700 crores this October. 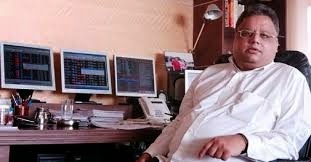 Jhunjhunwala is the 51st richest indian now, as per Forbes list.As a value investor, he picks fundamentally strong companies with cash reserves and stick into it.That is why,his initial investment of Rs.6000 in 1985 multiplied towards a magical wealth. Rakesh Jhunjhunwala, known as India's warren buffet is an avid follower of quality companies.He invest in consistent business model with corporate governance and return on investment.He avoid speculation and stay invested in the portfolio of stocks for long duration. He does not bother about short term fluctuations.Rakesh Jhunjhunwala expect the Indian economy is in a transition to grow fast and meet the large demand in the country.He believe in scalability of a business and select the potential winners of the future. Rakesh Jhunjhunwala foresee this market rally as the mother of all bull run in India.He is a strong believer of india's business growth potential.He expect tremendous earnings growth in quality companies with unique products.Rakesh is a philanthropist and doing charity from his dividends.His foundation announced to donate of Rs.5000 Cr for charity by 2020. 1. A stock market decline is a great buying opportunity.Never postpone your investing at that time. 2. Too much diversification will reduce your gains.Concentrate on well studied winning stocks only. 3. Learn to examine large number of shares.Otherwise,you cannot select the right stocks. 4. In the long run, superior stocks will beat all type of bond returns. 5. Shares are not lottery tickets.Learn the activities of the company before you invest.Visit the company outlets to see the demand of products.If people are buying it, then check the financials. 6. Don't look at index only.Check how many shares advanced and how many declined. 7. Fifth standard maths is sufficient to succeed in stock market.But,you should do the home work. 8. Never expect to win all times.Success of 6 out of 10 is a good thing. 9. If you cannot analyse the stocks self, invest in good mutual funds. 10. Look into the 'Earnings' of a company to ensure future gains. Labels: Richest Indians, Richest Indians 2014, Top 5 Richest Persons in India, Wealthy Indians. Technical Charts are very popular among active traders and fund managers.However,it is difficult thing for common people.Charts show the momentum in stocks or the market.Chartists analyse details such as price and volume of the scrip.They use multiple time frames such as intraday,daily,weekly or monthly charts to predict the future price movement. Longer the time frame, prediction will be more accurate. 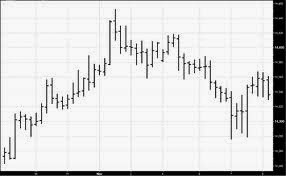 Chartists use Line charts, Bar charts or Candlestick charts. 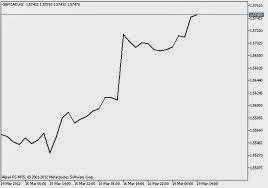 Line charts connect the closing prices of a stock during a specified time period.It depicts general price trend.But,Bar charts and Candlestick charts help us to analyse the whole picture- open,close,high and low prices.So, evaluation will be more clear in bar charts and candlestick charts. 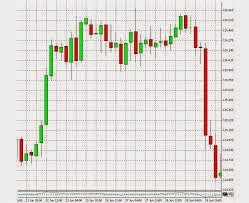 Most of the traders prefer candlestick charts.If close price is above the open price,it is a bullish candle.If close price is below the open price,it is a bearish candle.High and Low prices are known as' Shadows'.Difference between open and close price is the 'Real body' of a candlestick.White or Green colours are used for bullish candles and Black or red colours in bearish candles. Active traders should practice any chart to analyse and predict the future direction in stocks,commodities or currencies.